My daughter Grace gave me this book as a mother’s day present in 2004. 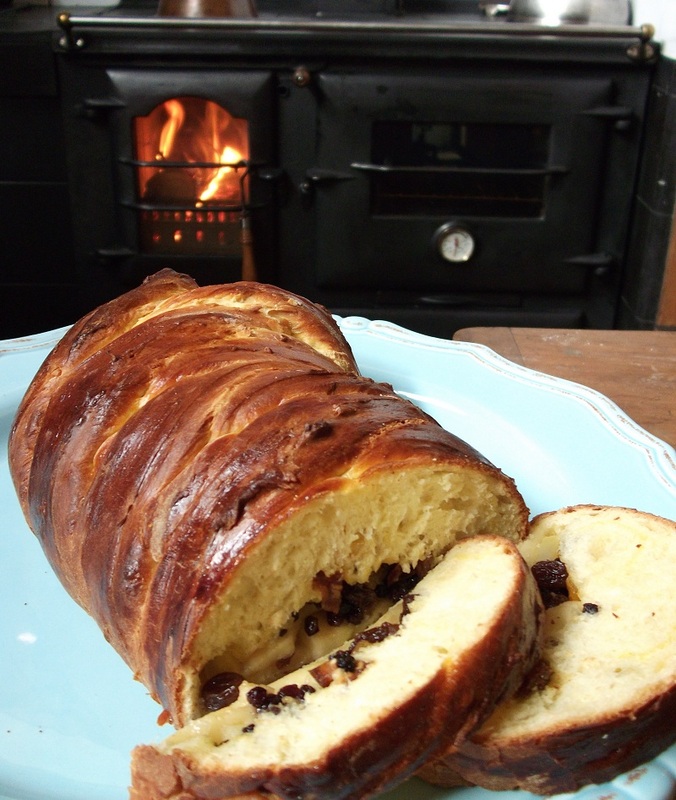 Since then I have used it many times to create some lovely breads. With over 250 pages of recipes and lovely photos, this book has three sections; breads and savories, sweet loaves and cakes, and lastly, rolls, buns and snacks. In the first section, I have tried some recipes that have become firm favourites. One of these is the Dark Sour Rye bread. It uses 1 teaspoon of yeast, and the first time I tried it I almost threw the uncooked bread out to the chickens because I didn’t think it had worked! However I cooked it and discovered it to be delicious. It makes a smallish, dense loaf, without being heavy and stodgy. 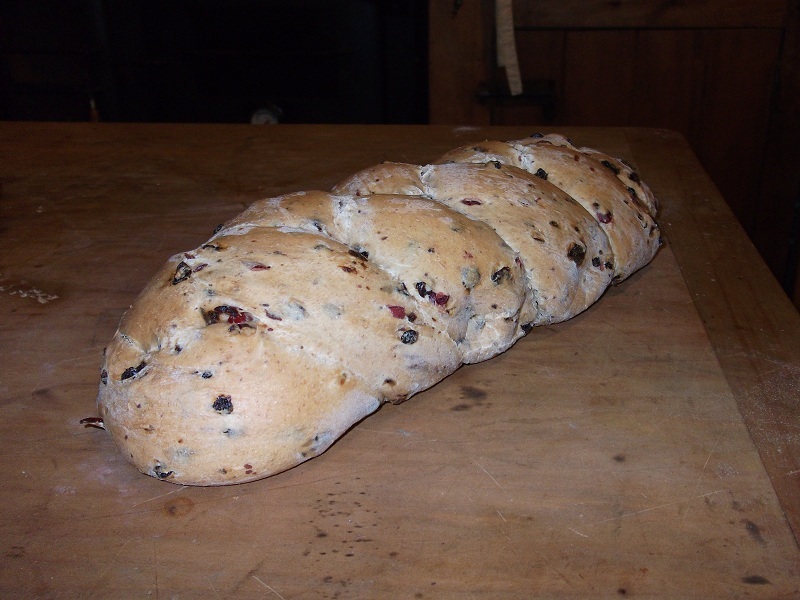 The second section holds many treats – the Cranberry and Currant Sweet Loaf that Janie and I made in our cooking afternoon a couple of weeks ago; a wonderful Stuffed-fruit Twist; a Chocolate nut Twist; Spiced-tea loaf… the list goes on! The third section also has many great simple recipes. 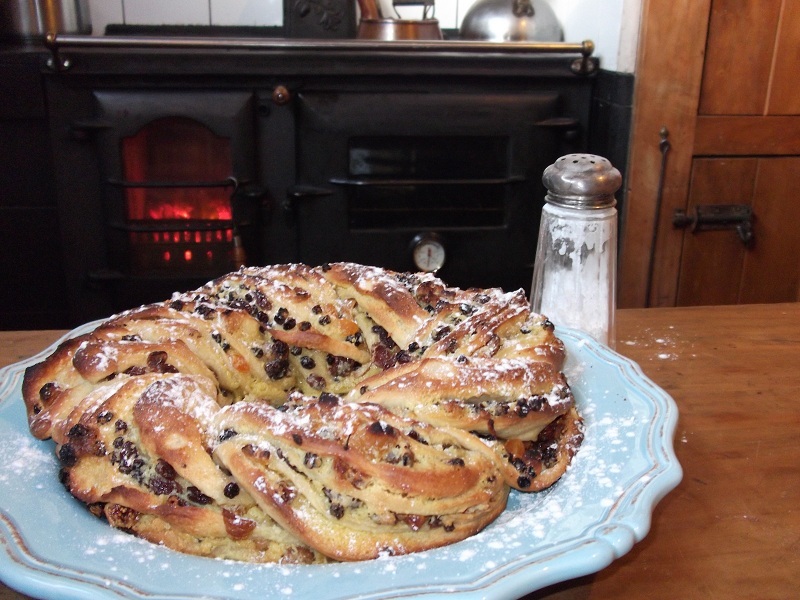 The Flat bread recipe is so easy yet lovely; Coriander rice naans; Danish pastries; Lahmachun; and my all-time favourite in this section: Teacakes. 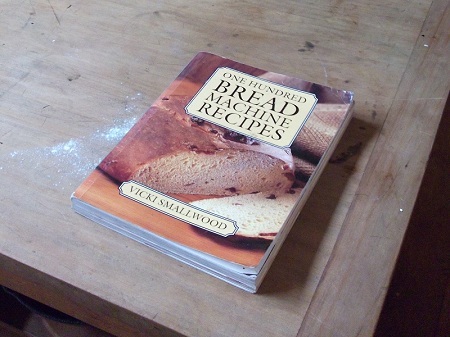 I learnt from this book that the secret to a lovely consistency in bread is the slow rising time. This recipe has only 1 teaspoon of yeast so the buns rise quietly, the end result being a texture that is wonderful, and buns that will keep moist for much longer than quickly-risen bread. In summing up, this book is a very user-friendly manual! The photos don’t just show the end product. There are many clear pictures showing different stages in the making of each recipe. The written instructions are clearly set out, as are the ingredient lists. Although the book is called ‘One Hundred Bread Machine Recipes’, many of the recipes call for the use of the stove to bake the bread in, as opposed to doing it all in the bread maker. 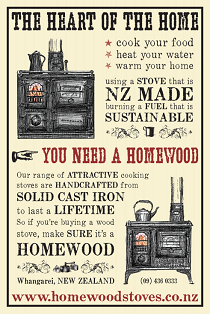 This suits those of us with a Homewood perfectly! I really recommend this book.